Robin Chiang Jien-Jun was born in Taoyuan, Taiwan. He is a renowned musician, music arranger, interdisciplinary media art producer and new age spiritual music composer. His work integrates the essence of Western and Eastern traditional music styles. 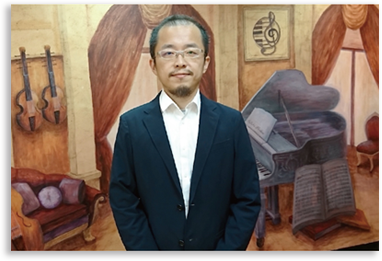 Chiang specializes in using modern technology to combine a wide range of music styles and vocabularies, be it exquisite piano pieces, Western chamber music, ensembles of Western and Eastern instruments, or orchestral music. Chiang’s music harmoniously blends Eastern and Western culture while spanning various genres of classical and popular music. 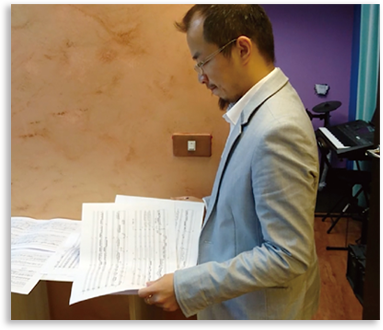 A prolific composer, Chiang receives commissions from several countries, and produces an average of about 100 music pieces annually. His works can be found in dramas, dances, stunt performances, documentaries, exhibitions and folk events, and have received widely accolades. In 2017, Chiang composed the original score for Rashomon, a four-scene dance drama created by the respected choreographer, scholar and educator, Liu Feng-Shueh. In 2018, he composed fifty music pieces for the environmental documentary, The Beauty and Sorrow of Nanheng, produced by director Hong Chun-Jing. In 2019, he was commissioned by the NTL Quartet to compose “Capriccio for Formosan Folk Medley,” and the proceeds of the charity concert, for which the work was performed, were donated to World Vision.